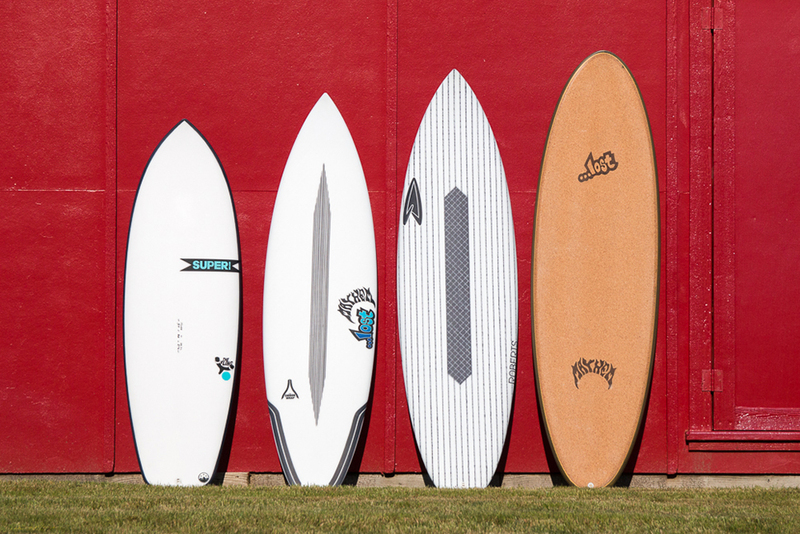 While new surfboard designs have all become more user-friendly, the number of choices can sometimes be overwhelming. We use these same five tips with every customer we work with to help them narrow down the choices from hundreds to the board they are looking for. The first way to narrow down the universe of boards you are looking at is to define the type of performance you are seeking and match it to the right shape. 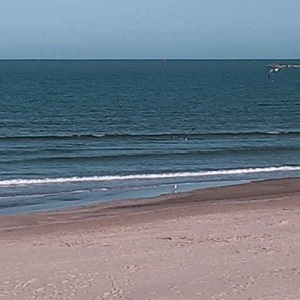 Small waves? Big waves? Single travel board? By clearly, realistically, and honestly assessing what you need the board to do, you will take 75 percent of the boards off the table and narrow your focus to just a few. Design trumps everything else, so focus on this first. A few years back, everyone thought volume was kooky. Now everyone knows their volume range by heart. If you don’t yet have a board with its volume written on it, you can use one of the many volume calculators available online. There are a lot of variables when using these calculators, but one often missed by customers is that you’ll need less volume in punchy surf where you’re getting “flicked” into the wave and more volume in flat-faced, gutless surf when you have to paddle harder to plane into the wave. When you’re building out a quiver, your groveler should have the most volume, your shortboard the least, followed by your step up with more again. This makes sense, as foam is your friend in tiny surf and macking surf, but when it’s perfect, you don’t need as much. Think of this as an upside-down bell curve. To give you a real life example, I’m 6’2″ and weigh 215 pounds and ride 41-42 liters for grovelers, 38-39 liters for shortboards, and then back up to 41-42 liters for step ups. Each surfer will have a volume range that works for them depending on the board and wave conditions. Once you match your volume to your design, this will lead to tip #3. This used to be the primary set of numbers we looked at when picking boards. Now it almost seems like they’re a means to an end. Once you have the design and volume picked out, the dimensions are the numbers that get you to the volume of your choice. Make sense? When deciding between two designs, narrower boards will be faster rail to rail, while wider boards will have more horsepower, glide, and stability. Thinner boards will allow you to turn harder at higher speeds, while thicker boards will give you more foam to “push” against in average surf and have more float. Longer boards will have more rail line and typically provide more drive (forward momentum out of the turns) where shorter boards will fit better tight in the pocket. Design – Volume – Dimensions: Use this thought process and it will help you weed through the choices and pick your next perfect stick. 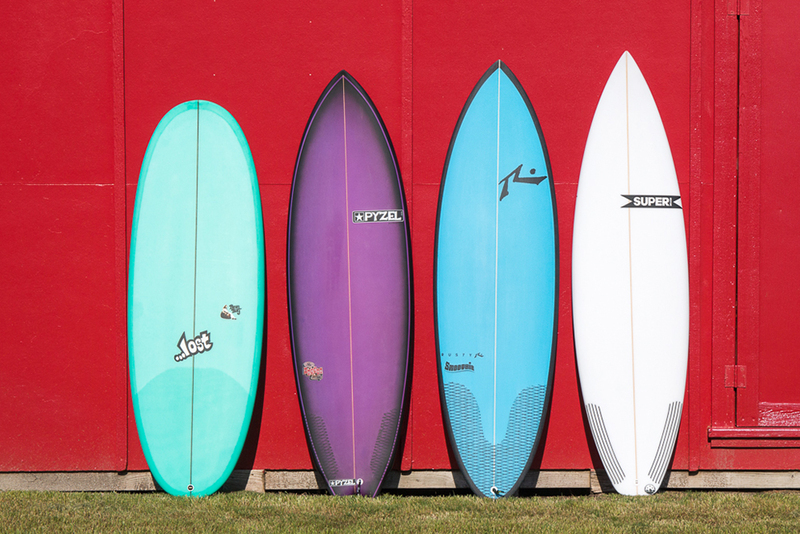 PU/Poly is the tried and true surfboard construction. PU/Poly boards are reasonably light, strong enough for most, and are a constant among the majority of board builders. If you’re looking for the safe bet, look no further. However, alternative techs are on the rise, especially with grovelers, hybrids and domesticated shapes. Some of the newer techs are also making their way into the shortboard category. In comparison to their PU/Poly counterparts, alternative tech boards are typically lighter, more durable, and provide more “spring” out of the turns. Also, many of the alternative tech constructions utilize recycled foam blanks and bio-friendly cloths and resins, making them eco-friendly. The goal of most alternative tech constructions is to make a board as light as a disposable pro board, but with greater durability than a standard PU/Poly. Higher tech comes with a higher price tag, but these boards are a blast to ride in the right conditions, and their light and lively feel can be addictive. Everyone seems to think there is one type of durability. However, there are actually three. Ding resistant durability — Useful for when you accidentally drop your board in the parking lot. Sandwich constructions with hard foam shells are the best for this. Board breakage durability — Choosing the right blank density, stringer thickness, and glass schedule helps this one out. 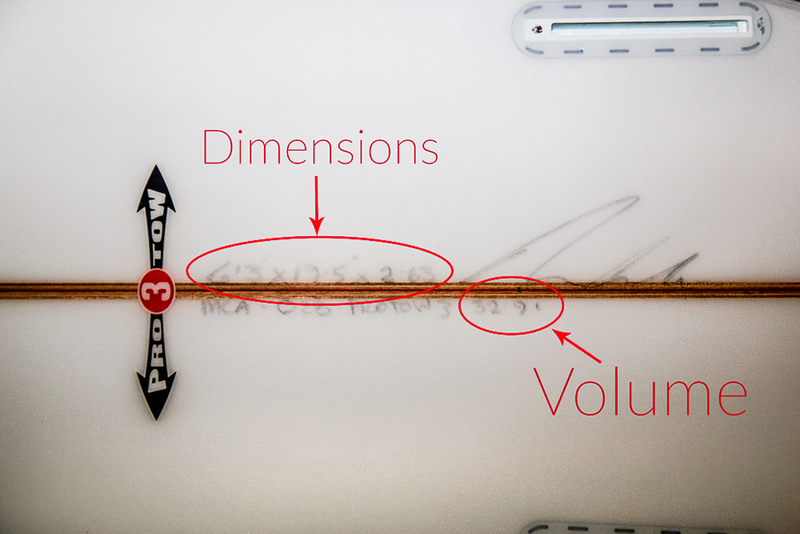 Performance durability — How long the board will retain its flex/spring before it goes flat like a wet noodle. Knowing what type of durability suits your needs the best is key. For example, a board with performance or breakage durability may not be the best choice for bouncing around on a boat.